The British actress discusses her new horror movie. Director James Klass conjures up a holiday of horrors in a new Wild Eye Releasing release, premiering April 10th on VOD. 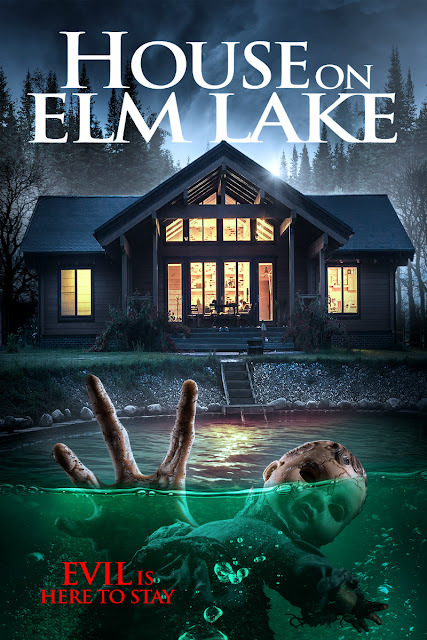 A young couple moves into a lake house that was the site of a ritual murder, and soon realise an ancient, dormant evil has awakened to prey upon them. Directed by James Klass (Mother Krampus), and starring Becca Hirani (Unhinged, Mother Krampus), Oliver Ebsworth (Curse of the Witching Tree, Mother Krampus), and Tony Manders (Darker Shade of Elise, Fox Trap), House on Elm Lake opens for inspection on April 10th. 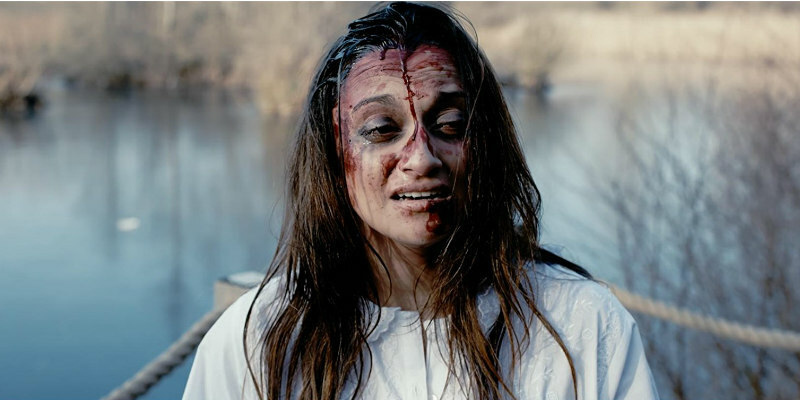 We chat to star Becca Hirani about being a part of a film that was essentially filmed… twice! Thanks for chatting to us – or is it written in your contract you have to? Ha! Haha - thank YOU for chatting to me. It’s great to have been invited! The film was originally shot back in 2014 in West London on a zero budget; it was never released but that’s how I initially got involved. I was at the start of my on screen career and it was the chance to perform in my very first leading role. Then, in late 2016, I was made aware that it was going to be reshot with more financial backing and a revamp of the script in a new location. I enjoyed being a part of the original, so of course, was ecstatic to hear we’d get the chance to do it again, in a bigger and better way! The movie was shot entirely in Essex, England - which isn’t too far from London where I currently live. I am from Yorkshire originally which is further into the North of England - I haven’t had the chance to shoot a film close to my native location yet but I would certainly love to! Hayley Jones has always been one of my favourite characters to play - and I got to immerse myself into the role twice so I am very lucky! I love her journey of discovery throughout the story - it’s a constant trail of unravelling information. She is a gentle but resilient character who faces horrendous tragedies, but is also the driving force for the story and the glue attempting to keep her family together. I get to play every kind of emotion in this movie which is why I have found it such a wonderful role. Where do you end and your character begin? I think that always depends on the character in question and how well you connect with their circumstances, objectives, desires, behavioural traits etc. I find some characters a lot easier for myself, as Becca, to relate to based on my own personal circumstances. In the case of Hayley, there were moments where I had to take liberties with my connection to her: in the example of her being a Mother for instance. I don’t have children myself but Penny plays a huge part in Hayley’s life and their relationship is closely played out in the film. It was important for me to try and find a connection with Faye Goodwin playing the role of Penny and to relate the journey Hayley takes as a Mother to something similar in my life that I have a comparative emotional connection to, so you would believe their relationship and Hayley’s love for her daughter. I always try to bring myself and my own understanding into the characters in some way so it feels as real as possible. Hopefully this conveys on screen! Are independent films more fulfilling to work on than larger, bigger-budgeted productions? I imagine they’re a tougher gig? They are tough, yes, as you deal with a lot of constraints that bigger budget projects don’t have to worry about. But this also makes the project a labour of love, full of passion! The camaraderie of working in a small team, with quite often everyone mucking in to multi task in other departments is incredible to be a part of. I always walk away from an independent movie having learnt so much! Film. What is it that’s so magical about it? Film is magical because there are so many components to it, that without each other, just wouldn’t produce a complete film. The script, the music, the editing, the cast, the action, the set, the props, the costume, the sound design, the cinematography - I could go on forever - all being conducted by the director and his vision and kept in operation by the production team. If one of those areas is incomplete, so is the film. The variety of skills needed is magic in itself. But, I think the most magical moment of film is when all of this is brought together in front of a viewing audience, giving them emotional or mental stimulation - a laugh, a cry, a scream, a debate. That is the true magic of film! There are moments when you feel like giving up and reconsidering your options, but taking a moment out to reflect on the positives and the good in everything you do is enough to keep you motivated if you can learn to channel your thought processes. It is very easy to dwell on negatives, but that is something I am trying to actively shun out of my life - whenever a demotivating or negative thought comes to mind; grab it, acknowledge it, and try to turn it around - either see it as an irrational thought, or do something about it. Once you start seeing the results of your work as well, it is very encouraging - that always spurs me on to stay in the game and improve whatever I know I need to improve for next time. Do you intentionally try and shake it up each time? Refuse to be pigeon holed? I like to try and take on different kinds of roles if I can, purely because I like to try different things and a new challenge exhilarates me; playing with new characters, story lines, different styles of the genre, if you like. As a creative you want to be as versatile as possible and try your hand at many different kinds of films. Having said that, do you think there’s a part that you’re best known for? I honestly couldn’t say! The movies that have been released so far have been released in different territories at different times, so it’s hard to keep track of which one is out where and is proving to be the most popular! Do you get recognised for any parts? I get regular social media fan messages and nice comments, plus a bit of fan mail, but I haven’t been recognised! It’s always lovely to hear from people who have seen the films and have nice things to say. Is that something you’d be worried about – losing your private life to that of a more public celeb persona? Honestly, yes, I can imagine it being quite restricting in a lot of ways in terms of having complete freedom of where you go and what you do. The thing I think I would find the hardest is the blur between you as a person and you as an actor at work - people are quick to have opinions of celebrities as people, rather than who they are in their films as actors. I am of the belief that you can keep your life as private as you can behind closed doors with a close network of people and family that you trust though. But I do make a habit of not googling my own name or checking out my hashtags like I know some other actors do because I can never bring myself to do it! Haha!